Are you on Instagram? I love it! Come follow me to check out our favorite simple toddler and preschool activities along with updates on our TA team (ie. my kiddos and my husband). I'm @kristinatoddlerapproved if you want to follow along. We use the hashtags #toddlerapproved and #preschoolapproved quite often when we share ideas. 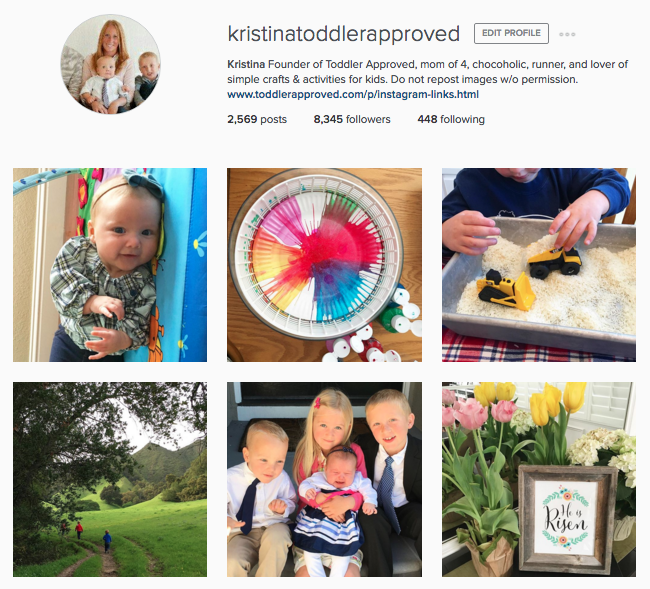 When you do cool toddler or preschooler friendly activities make sure to tag them with the related hashtag (#toddlerapproved or #preschoolapproved) so we can follow along and see what you are up to. You can find some of our favorite Instagram posts that link to our blog or other cool sources HERE. I'm still attempting to find our new normal now that baby #4 has arrived. You can read more here to learn about how I am keeping sane with a newborn and three other kids. One of these days I'll get back to a regular posting schedule here on the blog, but for now things are a bit scattered and less consistent. I have several fun activities coming up this week that I can't wait to share, so stay tuned! !